Want to work with us? Check out our current vacancies. 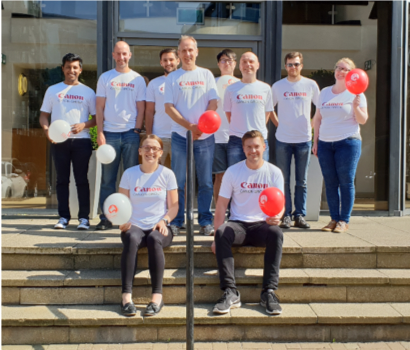 Canon Medical Research Europe Ltd is a leading medical software research & development centre of excellence, generating breakthrough technologies and valuable intellectual property for Canon Medical Systems. Based in the diverse city of Edinburgh, Scotland we employ over 100 employees working as Software Engineers, Scientists, Clinical Specialists, Testers and Business Support and are part of a global corporation headquartered in Japan. Our teams develop next generation medical imaging software to integrate with Canon Medical scanners and other diagnostic healthcare solutions which are installed in hospitals and health centres across the globe. 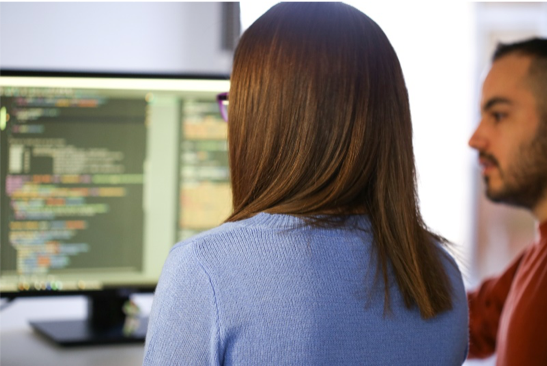 We develop software that helps saves people’s lives – we help to make a difference! Our success is built upon our ability to innovate, so we encourage growth, development, creativity and collaboration. Once you join us, you will be immersed into a cross-functional project team environment where individuals work together towards a common goal. You will be part of a business where we celebrate milestones and achievements, where your voice will matter, and your experience will help us grow and build upon our strength as a company. The journey that you’ll take delving into challenging projects must be offset by fun and relaxation. Our social committee organise a series of events through the year, from our main summer and Christmas parties to smaller events that have included rock climbing, bowling and trampolining! Our employee’s wellbeing is also important to us, which is reflected in the attention we pay to areas such as stress awareness, mental health, physical exercise and healthy eating. 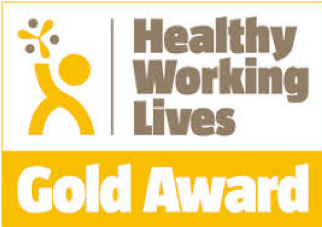 As a result, we’ve been awarded the Healthy Working Lives ‘Gold Award’. We also offer a comprehensive benefits package, which includes an excellent company pension scheme, private medical insurance and 36 days annual leave. More information on our benefits package can be found on our website (https://research.eu.medical.canon/recruitment/benefits). Beyond our benefits offering, we strongly support continuous development. We actively encourage employees to develop and share their knowledge and skills by attending conferences and participating in conferences and training. In 2017, we were recognized by the Edinburgh Chamber of Commerce for their Outstanding Contribution to Development and Skills award. We also have a global mobility program in place where employees can opt for assignments to experience different projects, practices, and cultures in various locations. Recent placements include the U.S and Japan. Internally, we set aside personal development time for all staff and provide a variety of different learning opportunities, which include coaching and mentoring. Each year, we participate in Learning at Work Week where employees can participate in a variety of business led and fun learning activities with the aim of sharing their interests and skills. This helps to support our ambition of, where possible, promoting from within. We also have a strong commitment to flexible working. We don’t measure you by how many hours or how much you’re in the office – we care about achieving great outcomes. In order to achieve this, we often need to work/meet with others in the office or remotely in other Canon Medical offices. To assist, we have a core hours policy of 10-12 and 2-4 where we know that most people are in the office. We also have email, Skype, Yammer etc to help you stay connected with your colleagues. In return, we’ll give you the flexibility to accommodate your life! Whether you need to pick up your children from school or work from home to focus on a piece of work, we want to support you. If you want to formally change your working hours our flexible working policy will tell you about this. It is recognized that there’s a strong imbalance of women in tech roles, and at Canon Medical Research Europe we’re looking to address this. We’re working to develop our existing staff into senior roles; aiming to encourage more applications from female candidates. We’re reviewing our recruitment strategy and investing more time and effort into encouraging young people into STEM careers, particularly focusing on activities with young women.